2.Employees of Pet Sitters Ireland or their family members or anyone else connected in any way with the competition or helping to set up the competition shall not be permitted to enter the competition. This includes previous Winners and Runners Up Of The Nose Of Tralee (and their current or future pets). 3.There is no entry fee and no purchase necessary to enter this competition. Entrants must be resident in Ireland and can only enter their pet in the County is which they reside. If your pet was a winner or runner-up in a previous year then you cannot enter them into the Nose of Tralee again. If your pet was a county finalist, then you can enter them into the competition again. 6.No responsibility can be accepted for entries, or votes, not received for whatever reason. The competition is run using a 3rd party app that counts and verifies votes. Vote counts are not displayed at any stage of the competition. We also do not release a list of vote counts at any stage during or after the competition. 9.The promoter is not responsible for inaccurate prize details supplied to any entrant by any third party connected with this competition. 10.No cash alternative to the prizes will be offered. The prizes are not transferable. Prizes are subject to availability and we reserve the right to substitute any prize with another of equivalent value without giving notice. 11.Winners will be chosen by an independent adjudicator or panel of judges appointed by the Promoter. The judge’s decision is final. 12.The winner will be notified by email and/or letter within 28 days of the closing date. If the winner cannot be contacted or does not claim the prize within 14 days of notification, we reserve the right to withdraw the prize from the winner and pick a replacement winner. 13.The promoter will notify the winner when and where the prize can be collected. 14.The promoter’s decision in respect of all matters to do with the competition will be final and no correspondence will be entered into. 15.By entering this competition, an entrant is indicating his/her agreement to be bound by these terms and conditions. 16.The competition and these terms and conditions will be governed by [Irish] law and any disputes will be subject to the exclusive jurisdiction of the courts of [Ireland]. 17.The winner agrees to the use of his/her name and image in any publicity material. 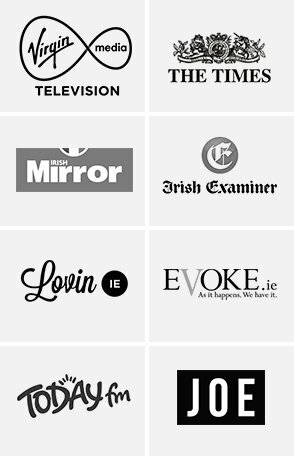 Any personal data relating to the winner or any other entrants will be used solely in accordance with current [Irish] data protection legislation and will not be disclosed to a third party without the entrant’s prior consent. 19.Entry into the competition will be deemed as acceptance of these terms and conditions. Note – Entrants and voters who submit their email address as part of the entry/voting process will only be contacted via email in relation to the competition. Note – Entrants must submit a current photo of their pet that was taken in the last 6 months and they must enter their pet in the county in which they reside in Ireland. Note – Vote counts (or position in the competition) will not be made available to the Public or Entrants at any stage of the competition. Judging Process 19th July – 6th August 2018 – The 3 pets in each County with the most votes will go through to the next round and our team of Independent Judges will then select one finalist for each county. The 32 finalists will be notified and asked to re-enter their pet wearing their County Nose Sash ready for the final Public Vote. How Will Entrants Pets Be Judged if they get through to the Judges Stage? Each pet will be judged on the following and the pet with the most points will go through to the final. Final scores will not be made public and in the event that the winner does not want to participate in the final stages then the runner up will be put through to the final. Public Vote 7th August – 21st August – A public vote will decide which of the 32 Finalists is Crowned the 2018 Nose of Tralee. The 2018 Nose Of Tralee Winner will be announced on the 21st August 2018. The following rules apply to all entrants at whatever stage of the competition. Failure to comply will result in immediate removal from the competition. Entrants cannot use paid advertising to promote their entry. Entrants are not permitted to buy votes in any form. Entrants suspected of cheating in any form will be removed from the competition. 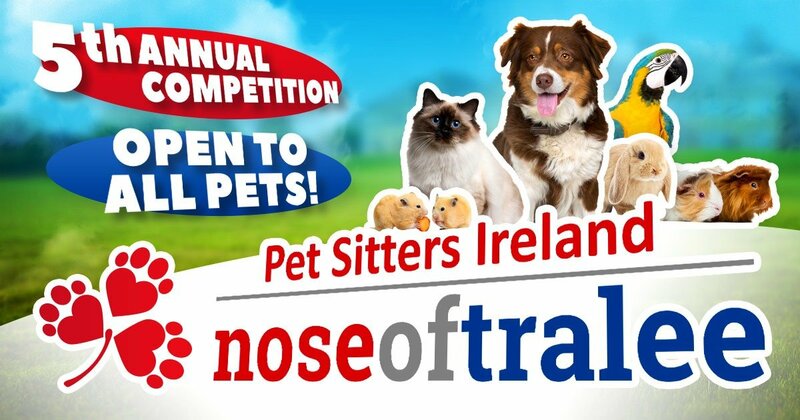 The Nose of Tralee logo, and the Pet Sitters Ireland logo, can only be used with the written permission of Pet Sitters Ireland. Code Of Conduct. Any entrant found to be harassing other entrants, organisers, or sponsors in any manner will be removed from the competition (and future competitions) with immediate effect. Organisers decision will be final.